Cala Mitjana is located on the east coast of Mallorca, only a few kilometres north of the popular holiday resort, Cala d’Or. This beach is one of two beaches in Mallorca with the same name. The other, and larger, Cala Mitjana is located on the north coast of Mallorca. Cala Mitjana is beautifully located at the end of a narrow, 250-metre-long bay. The beach is only 20-25 metres long, but it is covered with very fine-grained sand. The water is crystal-clear and the beach has very shallow water. Due to the location of the beach, waves are very rare. There are almost no facilities at the beach apart from a beach bar. 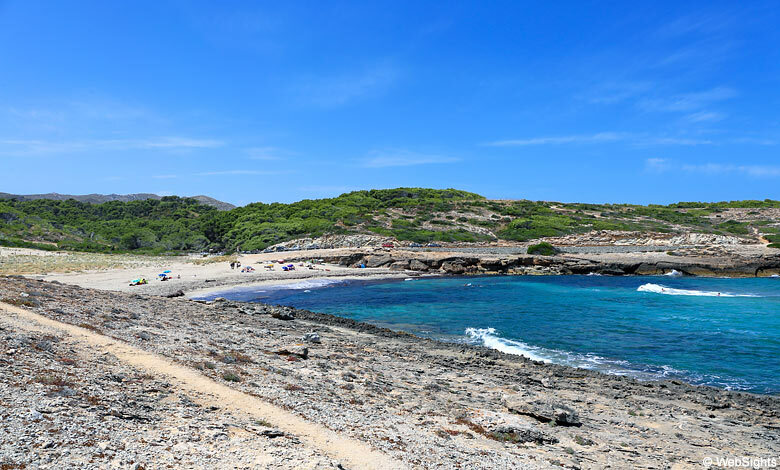 Cars can be parked nearby at Cala Sa Nau, from which there is a 20-minute walk. The beach is rarely crowded, but in July and August there are quite many visitors. The water is shallow at the beach and even though there may not be so much room to play during the peak season, the beach is very child-friendly. However, do remember that there is a 20-minute walk to the beach. 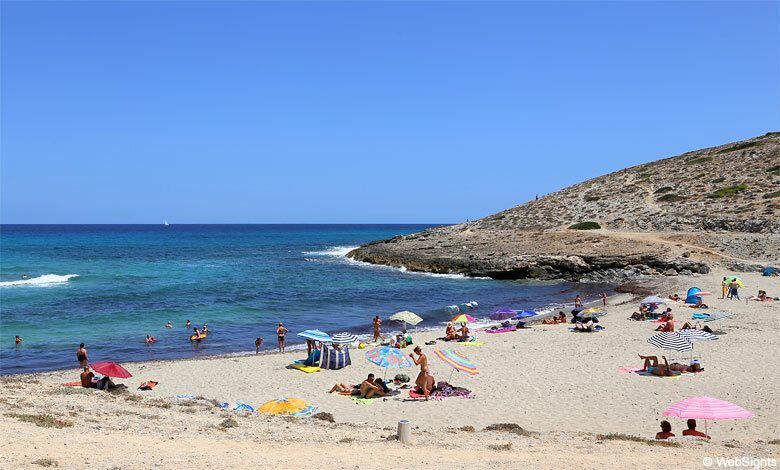 There are no water sports facilities at Cala Mitjana, however, the beautiful, narrow bay is ideal for snorkelling. There are no restaurants, but it is possible to buy refreshments in the beach bar. The holiday resort closest to the Cala Mitjana is Cala d’Or, which is located a few kilometres to the south. A bit further to the north, you will find Porto Colom. 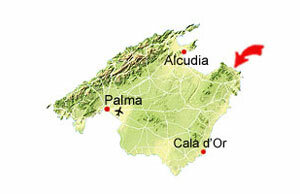 The map shows Cala Mitjana’s location in the narrow bay, which the waves hardly ever reach. As seen on the map, the roads are private, leading to the few private properties in the area. Luckily, the beach is not private. Somewhat to the north, you will find Cala Sa Nau.